Microdermabrasion Clinics in Mumbai, India - How to choose the best one? Home > Microdermabrasion Clinics in Mumbai, India – How to choose the best one? Great looks and flawless appearance have an important role to play in everyone’s life. Regardless of the skin type, tone, and physique, it is a human nature that every woman and men wish to have aesthetically-pleasing appearance. Getting Microdermabarsion treatment in Mumbai would be an ideal recommendation for the recipients who have dull skin tone, acne discoloration, pick marks and mild acne. Recipients who really strive hard for swift improvement within a short span of time then paying a visit to Microdermabarsion clinic would be the perfect choice. Have a look at these tips and guidelines that can aid anyone find the best microdermabarsion clinics in Mumbai, India that offers the excellent treatment. # 1 – References through family physician – One of the best and trustworthy sources to find a microdermabrasion clinic is through the family physician’s reference. 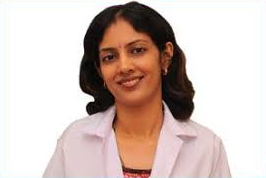 Since the physicians would be much familiar with medical professionals in Mumbai city and will be having the sound knowledge about the well-established clinics and dermatologist’s reputation. Based on the recipient’s medical history and requirement the family physician will give an unbiased opinion and of course the recipients can consider it as an excellent source of recommendation. # 2 – Choose the board-certified doctor – When deciding to get microdermabrasion treatment in Mumbai the first and foremost thing is to choose the board-certified dermatologist. A certified doctor like Dr. Rinky Kapoor has years of training and experience in specialised skin surgery and cosmetic surgery procedures who guarantees the recipients to provide the world-class treatment. Only a board-certified doctor can ensure to meet all medical regulation and at the same time the recipient can be safe in their hands. # 3 Using the innovative tools and machines for treatment – Even though getting reference and checking the doctor’s credential in their professional website but still it is important to pay a visit to the microdermabrasion clinics in person. During the consultation the recipient can get to know in detail about the clinic and types of treatment and service they offer. However, it is not only important to check the service and doctor but it is also equally important to know more about the tools and machines used for microdermabrasion treatment. World-renowned dermatologist and plastic surgeon Dr. Rinky Kapoor will abreast all the cutting-edge techniques and makes use of innovative surgical tools and equipments to perform the high-standard microdermabrasion treatment in Mumbai. Dr. Rinky Kapoor will superintend the recipient’s microdermabrasion treatment and ensure that the recipient he/she will be most benefit from the procedure. By visiting the professional website www.Dermatologistmumbai.com one can get to know in depth about the wide range of services and super-specialised treatments that can make a real difference in recipient’s life.